Get in - Bring on the wings! With the Summer kicking off Favorite Chicken & Ribs is saying ‘Get in!’ and Bring on the Wings! 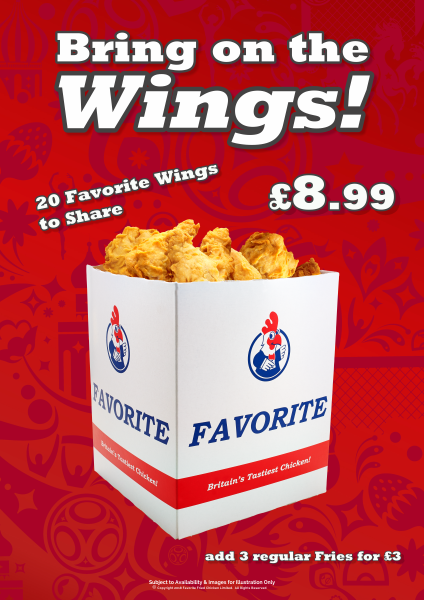 A sharing pack of 20 Favorite Wings with the option of Spicy Crunchy or Spicy BBQ, it’s the perfect way to enjoy the Summer with friends and family.